ProPublica erred when it reported in 2017 that Gina Haspel was in charge of a secret prison in Thailand during the infamous interrogation of an al-Qaida suspect. On Feb. 22, 2017, ProPublica published a story that inaccurately described Gina Haspel’s role in the treatment of Abu Zubaydah, a suspected al-Qaida leader who was imprisoned by the CIA at a secret “black site” in Thailand in 2002. The story said that Haspel, a career CIA officer who President Trump has nominated to be the next director of central intelligence, oversaw the clandestine base where Zubaydah was subjected to waterboarding and other coercive interrogation methods that are widely seen as torture. The story also said she mocked the prisoner’s suffering in a private conversation. Neither of these assertions is correct and we retract them. It is now clear that Haspel did not take charge of the base until after the interrogation of Zubaydah ended. Our account of Haspel’s actions was drawn in part from declassified agency cables and CIA-reviewed books which referred to the official overseeing Zubaydah’s interrogation at a secret prison in Thailand as “chief of base.” The books and cables redacted the name of the official, as is routinely done in declassified documents referring to covert operations. The Trump administration named Haspel to the CIA’s No. 2 job in early February 2017. Soon after, three former government officials told ProPublica that Haspel was chief of base in Thailand at the time of Zubaydah’s waterboarding. James Mitchell, the psychologist and CIA contractor who helped to direct the waterboarding of both suspects, said in a broadcast interview on March 14 that Haspel was not the “chief of base” whom he described in his book as making fun of Zubaydah’s suffering. We erroneously assumed that this was an effort by Mitchell or the agency to conceal the gender of the single official involved; it is now clear that Mitchell was referring to two different people. ProPublica contacted Mitchell in 2017 to ask him about this passage in his book. Facing a civil lawsuit brought by former CIA detainees, he declined to comment. At about the same time, we approached the CIA’s press office with an extensive list of questions about the cables and Haspel’s role in running the Thai prison, particularly her dealings with Zubaydah. The CIA did not comment further on the story after its publication and we were not aware of any further questions about its accuracy until this week. The February 2017 ProPublica story did accurately report that Haspel later rose to a senior position at CIA headquarters, where she pushed her bosses to destroy the tapes of Zubaydah’s waterboarding. Her direct boss, the head of the agency’s Counterterrorism Center, ultimately signed the order to feed the 92 tapes into a shredder. Her actions in that instance, and in the waterboarding of al-Nashiri, are likely to be the focus of questions at her confirmation hearings. Dean Boyd, director of the CIA’s office of public affairs, praised Haspel’s 30 years of public service and said Thursday in a statement that her qualifications and capabilities would be evident in the hearing process. A few reflections on what went wrong in our reporting and editing process. The awkward communications between officials barred from disclosing classified information and reporters trying to reveal secrets in which there is legitimate public interest can sometimes end in miscommunication. In this instance, we failed to understand the message the CIA’s press office was trying to convey in its statement. None of this in any way excuses our mistakes. We at ProPublica hold government officials responsible for their missteps, and we must be equally accountable. This error was particularly unfortunate because it muddied an important national debate about Haspel and the CIA’s recent history. To her, and to our readers, we can only apologize, correct the record and make certain that we do better in the future. Update, March 13, 2018: President Donald Trump has nominated CIA deputy director Gina Haspel as the agency’s new chief. We published the story below on Feb. 22, 2017. In August of 2002, interrogators at a secret CIA-run prison in Thailand set out to break a Palestinian man they believed was one of al-Qaida’s top leaders. As the CIA’s video cameras rolled, security guards shackled Abu Zubaydah to a gurney and interrogators poured water over his mouth and nose until he began to suffocate. They slammed him against a wall, confined him for hours in a coffin-like box, and deprived him of sleep. The 31-year-old Zubaydah begged for mercy, saying that he knew nothing about the terror group’s future plans. The CIA official in charge, known in agency lingo as the “chief of base,” mocked his complaints, accusing Zubaydah of faking symptoms of psychological breakdown. The torture continued. When questions began to swirl about the Bush administration’s use of the “black sites,” and program of “enhanced interrogation,” the chief of base began pushing to have the tapes destroyed. She accomplished her mission years later when she rose to a senior position at CIA headquarters and drafted an order to destroy the evidence, which was still locked in a CIA safe at the American embassy in Thailand. Her boss, the head of the agency’s counterterrorism center, signed the order to feed the 92 tapes into a giant shredder. By then, it was clear that CIA analysts were wrong when they had identified Zubaydah as the number three or four in al-Qaida after Osama bin Laden. The waterboarding failed to elicit valuable intelligence not because he was holding back, but because he was not a member of al-Qaida, and had no knowledge of any plots against the United States. The chief of base’s role in this tale of pointless brutality and evidence destruction was a footnote to history — until earlier this month, when President Trump named her deputy director of the CIA. The choice of Gina Haspel for the second-highest position in the agency has been praised by colleagues but sharply criticized by two senators who have seen the still-classified records of her time in Thailand. A trove of recently released cables and Zubaydah’s own declassified account describe what happened when the al Qaeda suspect was held at secret prison. That’s not likely to happen. ProPublica has combed through recently declassified documents, including CIA cables and Zubaydah’s own account of what he endured, and books by officials involved in the CIA’s interrogation program to assemble the fullest public account of Haspel’s role in the questioning of Zubaydah. The material we reviewed shows she played a far more direct role than has been understood. Asked to respond to the specific allegations about Haspel, a CIA spokesperson said only that, “Nearly every piece of the reporting that you are seeking comment on is incorrect in whole or in part.” We reminded the spokesperson that many of the specifics came from books written by former CIA officials and cleared before publication by the agency. He declined to say which aspects of the reporting, or those books, were incorrect but did provide a long list of testimonials to Haspel’s skills from present and former intelligence officials. Critics of Haspel’s appointment argue that her past is particularly relevant in light of Trump’s shifting statements on the value of torturing terror suspects. During the campaign, former director of Central Intelligence Michael Hayden said in response to Trump’s endorsement of torture that “if any future president wants (the) CIA to waterboard anybody, he’d better bring his own bucket.” After he won the election, Trump said he was persuaded by his secretary of defense, James Mattis, that torture is not effective. The Trump administration recently drafted and then withdrew a draft executive order asking American intelligence agencies to consider resuming “enhanced interrogation” of terror suspects. Much of the material we reviewed for this story referred to Haspel only by her title, chief of base, or “COB.” Three former government officials, however, said the person described by that title in books and declassified documents was Haspel. As chief of base, these officials said, Haspel signed many of the cables sent from Thailand to CIA headquarters recounting Zubaydah’s questioning. The declassified versions of those documents redact the name of the official who sent them. One declassified cable, among scores obtained by the American Civil Liberties Union in a lawsuit against the architects of the “enhanced interrogation” techniques, says that chief of base and another senior counterterrorism official on scene had the sole authority to halt the questioning. 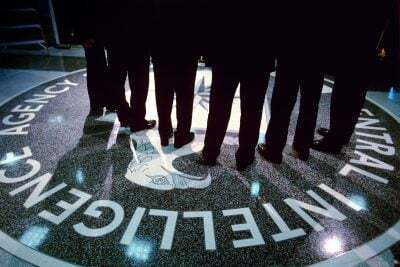 Haspel was sent by the chief of the CIA’s counterterrorism section, Jose Rodriquez, the “handpicked warden of the first secret prison the CIA created to handle al-Qaida detainees,” according to a little-noticed recent article in Reader Supported News by John Kiriakou, a former CIA counterterrorism officer. In his memoir, “Hard Measures,” Rodriquez refers to a “female chief of base” in Thailand but does not name her. Kirakou provided more details about her central role. “It was Haspel who oversaw the staff,” at the Thai prison, including James Mitchell and Bruce Jessen, the two psychologists who “designed the torture techniques and who actually carried out torture on the prisoners,” he wrote. Kiriakou pleaded guilty in 2012 to releasing classified information about waterboarding and the torture of detainees, and served 23 months in prison. So far, that promise has been kept. Zubaydah is currently incarcerated at Guantanamo. His lawyers filed a court action in 2008 seeking his release, but the federal judges overseeing the case have failed to issue any substantive rulings. Zubaydah was seized in a raid in Pakistan in late March 2002, during which he suffered life-threatening bullet wounds in his leg and groin. The CIA had long been hunting for Zubaydah, who had worked as what one former government official described as “administrator” at a terrorist training camp in Afghanistan. The camp was started by the CIA during the Soviet occupation, was not under the control of al-Qaida or Osama bin Laden, the official said, but Zubaydah had on occasion supplied false passports and money to al-Qaida operatives. American doctors saved Zubaydah’s life, and after he was stable enough he was drugged, gagged, trussed and blindfolded, and put on a CIA charter flight. In order to avoid being traced, the plane flew around the world, stopping in several places, including Morocco and Brazil, before landing in Thailand. While still hospitalized, Zubaydah was interrogated by the FBI, led by Ali Soufan, an Arabic speaker. According to Soufan, Zubaydah, who was generally cooperative, provided the FBI interrogators with valuable intelligence on the overall structure of al-Qaida. His information also confirmed what the CIA already believed, that Khalid Sheik Mohammed was the mastermind of the 9/11 attacks. A talkative sort who expressed a willingness to cooperate, Zubaydah gave the FBI information that led to the arrest of Jose Padilla for plotting to detonate bombs in the United States. Zubaydah, who was born in Palestine, said that while he believed in jihad, the 9/11 attacks were not justified because they killed innocent civilians. Soon after, he was put into isolation for 45 days, kept awake with loud music and doused with cold water. During this time, the ALEC team at CIA headquarters, which was assigned to find Osama bin Laden, sent questions to Thailand for the team to ask Zubaydah; they went unasked, and unanswered, because he was in isolation. The FBI and CIA clashed over whether or not Zubaydah was fully cooperating on the subject of possible future attacks. The agency’s view prevailed, and counterterrorism officials sought permission for harsher measures. In late July, the CIA team conducted a “dress rehearsal … which choreographed moving Abu Zubaydah (Subject) in and out of the large and small confinement boxes, as well as use of the water board,” Haspel notified Washington. By this time, the source on whom the CIA had based its assessment that Zubaydah was number three or four in the al-Qaida organization had recanted his testimony, according to the Senate Intelligence Committee Report on Torture released in 2014. The agency would ultimately conclude that Zubaydah was not even a member of al-Qaida. 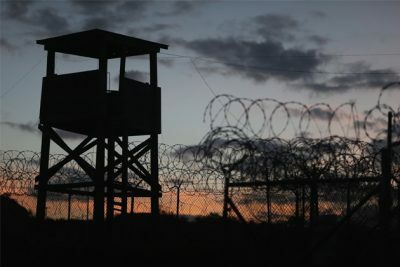 The Senate torture report chronicled the CIA’s interrogation of high-profile detainee Abu Zubaydah, but the justice system’s treatment of his habeas corpus petition has largely escaped notice. “So it begins,” a medical officer on Haspel’s team wrote on the morning of Aug. 4, 2002. Later that year, when journalists began asking the CIA and the White House about a “black site,” in Thailand, the CIA rushed to close it. Zubaydah was again drugged, trussed, blindfolded, and put on another secret CIA flight to another black site, this time in Poland. Haspel moved to cover up the agency’s operations at the Thai base. The chief of base told the security officer “to burn everything that he could in preparation for sanitizing the black site,” Mitchell wrote in his book, “Enhanced Interrogation: Inside the Minds and Motives of the Islamic Terrorists Trying to Destroy America,” which was published late last year. According to Mitchell’s account, the security officer asked the chief of base whether he should include the tapes; he was told to hold off until “she” could check with Washington. She was told to retain them. A few years later when she was back in Washington and chief of staff to the director of operations for counterterrorism, Jose Rodriquez, the man who had sent her to Thailand, she continued to lobby for destruction of the tapes. Without approval from the White House or Justice Department, Rodriquez gave the order. In a twist of fate, destroying the tapes drew more outside scrutiny of the program. Disclosure of the shredding prompted the Senate Intelligence Committee to begin its long-running examination of the torture program. The result was a 7,000-page report that drew on thousands of highly classified cables relating to the Bush administration’s rendition and detention program and concluded torture was not effective.